It has been a while since i posted my Tinker Rule which i made during college days. 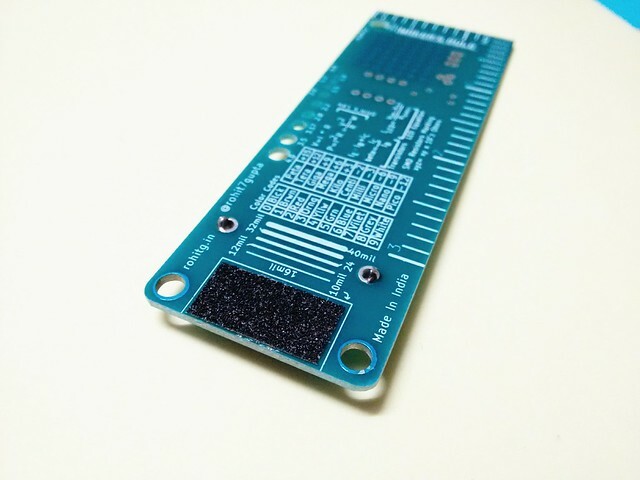 I received a few requests for the ready to etch pdf which helped me gauge if this seemed to be useful to people. The response was somewhat positive and so, i decided to put in some extra effort and make it handy, portable and manufacturable ! 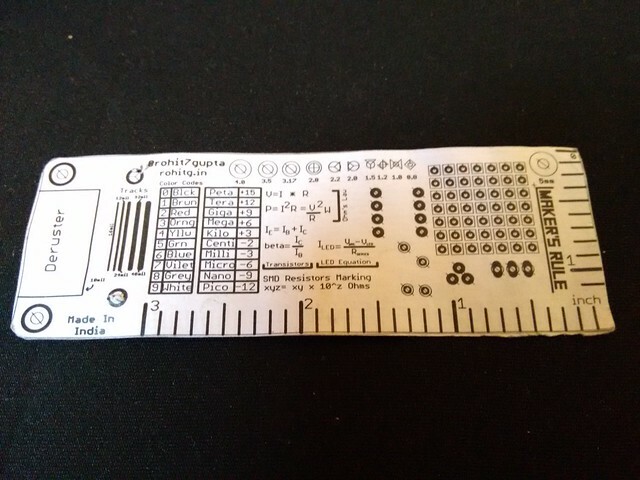 A reference section for common equations,scales and track widths. I made an initial to-scale mockup to verify the parts and ergonomics. 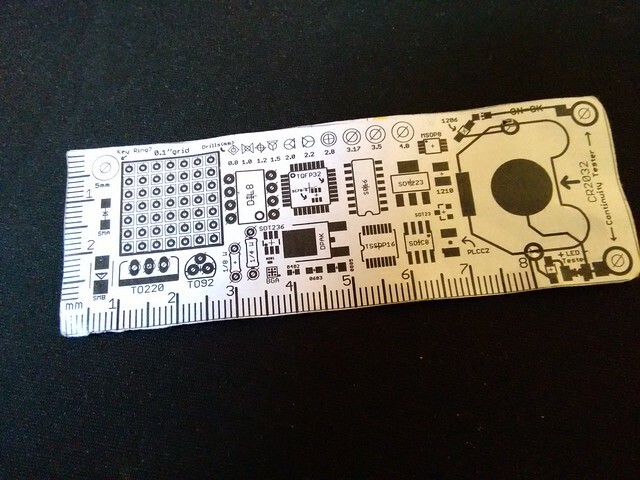 Then redesigned the board iteratively in KiCAD. 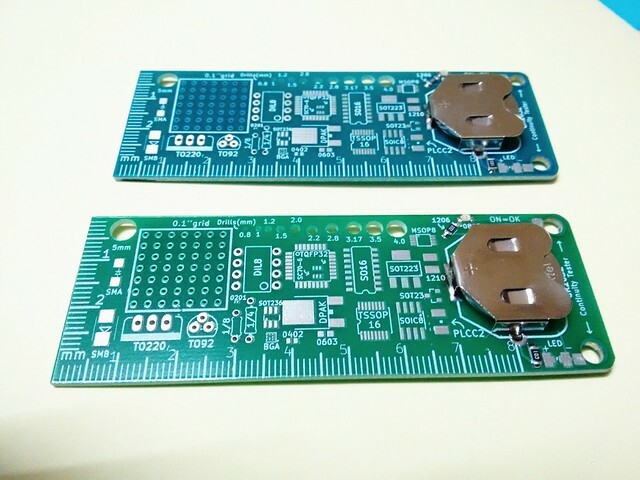 The size was a bit higher to utilise the low volume PCB fabs from China.This presented an opportunity to search and try some local manufacturers and add a month to the project. Most of them unfortunately gave disappointing replies to mails for low volume production. Aghasted, I started street searching for PCB manufacturers here in Pune. Fortunately, I live near an Industrial Area and Just Dial churned out a humble number of results. I visited a few of them and finalised one based on cost, quality and turn around time. But had to re-design it yet again to match the tolerances. The 5mm hole doubles up as a key-chain ring. 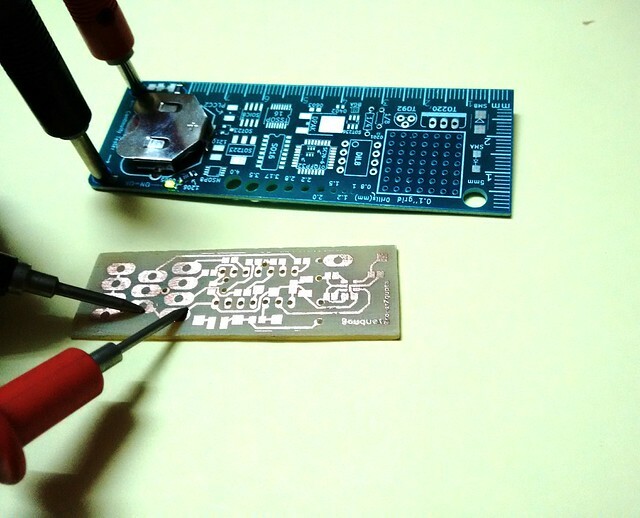 Use normal multimeter probes with the Maker’s Rule for continuity testing. My multimeter meter has a habit of dying down when i need it the most to check continuity of newly etched PCB. Here i use a 0805 LED for the output. It is available in two colors- Bright Green and Marine Blue & A CR2032 Battery adds more potential. 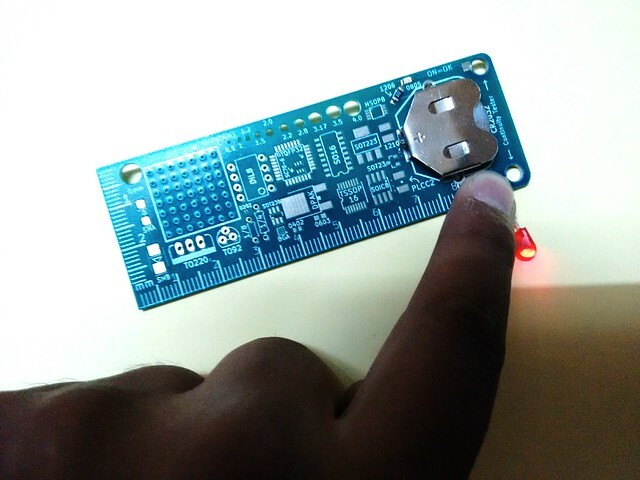 A LED Tester that helps you test those LEDs with equal leads or SMD packages with no marking. A fine grit sand paper to beat some rust. 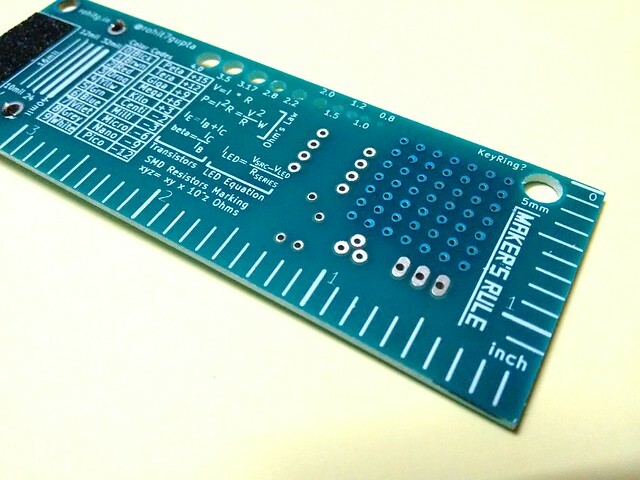 The first few PCBs had a drill issue as the 2.8mm drill hole was drilled by a 2.5mm one. I had to get them drilled again. 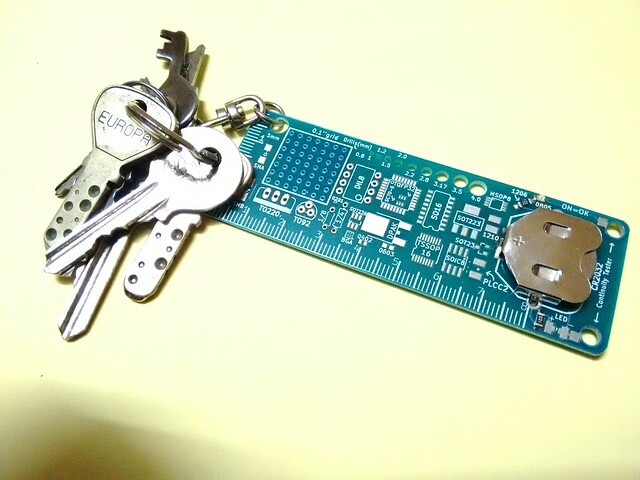 I have listed it on Tindie if anyone is interested.It ships with a key-chain blank, A CR2032 Battery and the Rule of-course. Also any customisations like putting your logo/content on it are also welcomed.